Watching a movie in surround sound is amazing, but still has its limitations. Sound disperses directly from your speakers, but doesn’t necessarily provide a complete coverage pattern. What’s an audiophile to do? The days of thinking about home theater in terms of 5.1 or 7.1 systems are over. The next generation of surround sound is here and it’s Dolby Atmos. 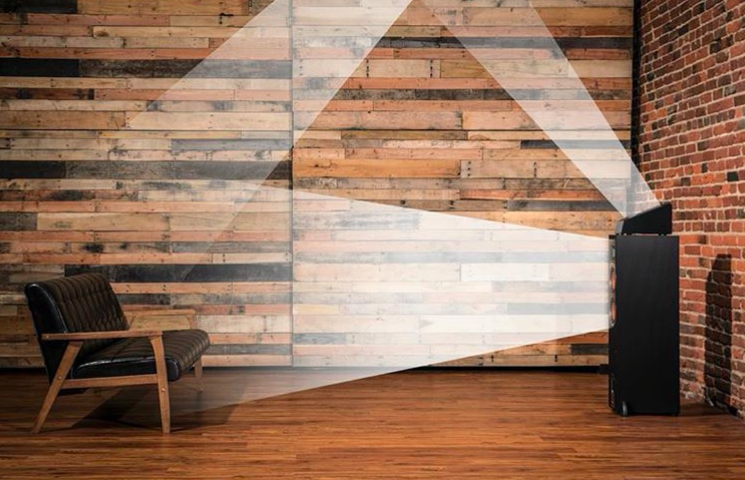 Dolby Atmos delivers captivating, object-based sound that places and moves audio anywhere in the room to bring entertainment alive all around the audience. With Dolby Atmos, sound comes alive from all directions, including overhead, to fill a home theater with astonishing clarity, detail, and depth.Atmos is a new surround sound technology that gives you a three dimensional field of sound. Oftentimes in movie theaters, this is achieved via in-ceiling speakers. However, since not always a feasible option at home, a similar effect is achieved by adding a pair of elevation speakers to your existing home theater. How does it work? Traditional surround sound speakers are designed to point toward the primary listening position. The direction of the sound is aimed towards the listening area which allows the viewer to feel like a part of the action. 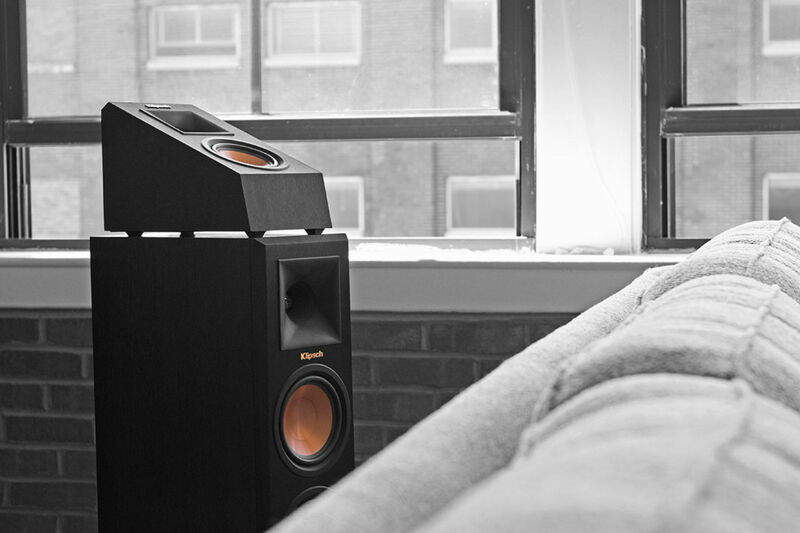 Atmos elevation speakers are designed to sit on top of existing bookshelf or tower speakers. Rather than a traditional speaker where sound is directed towards you, sound is reflected off the ceiling. Ultimately, sound is being spontaneously generated at a point of space in front of you. A great example of this is the effect of rain. In a traditional surround system, you will hear the rain from left, center, right, and rear surround positions. In a system utilizing Atmos elevation speakers, you will hear the rain from each of the aforementioned listening positions, but also from above and around you as if in real-time.